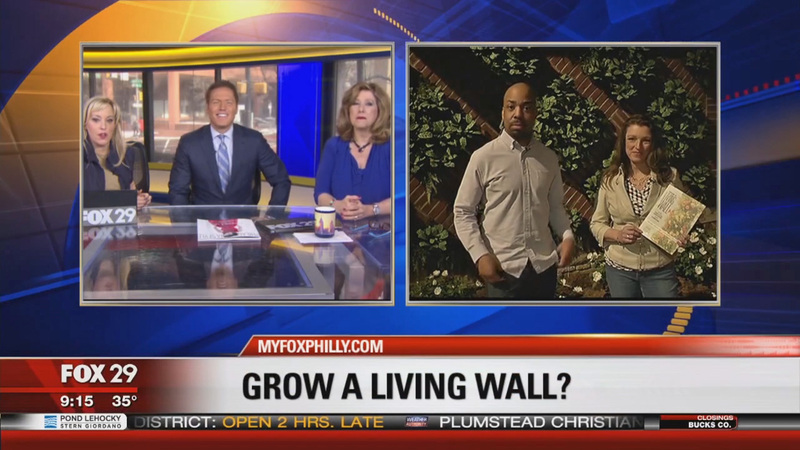 When I tell people that I built a till-free vegetable garden in my front lawn and that it is till-free they seem surprised and ask how I have growing success. 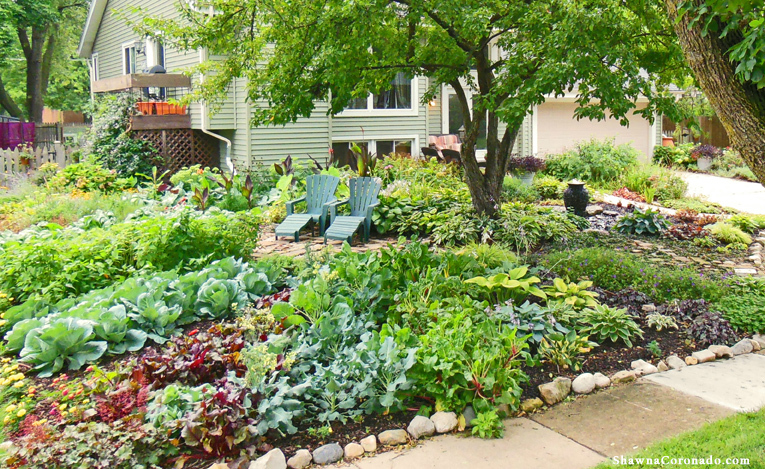 For generations, traditional garden beds have been turned over in order to loosen the soil. Yet from an ecological perspective turning the soil over is bad because all the millions of bacteria and micro life are killed when they are exposed to air and sunshine. It is this amazing tiny life in your soil – an entire ecosystem – that enables your plants to grow strong and happy. When you turn soil over it loses fertility and viability. 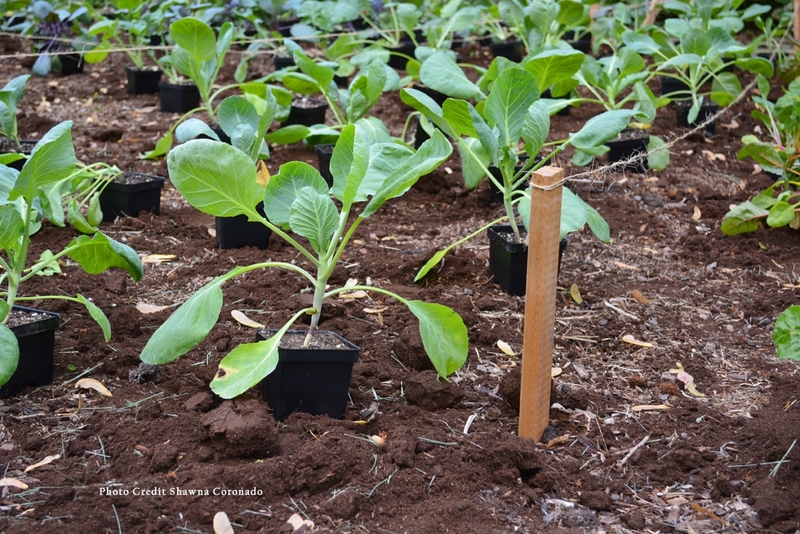 Using a no-till or till-free gardening method can enable better success with plants and growing. As a part of my till-free gardening technique, I first removed the grass. Some people choose to keep it and simply solarize the grass or lay down a kill mulch such as cardboard over the top to kill it naturally. Once the grass was gone and I removed any debris, then I began layering organic ingredients. This is easy to do – just add a new layer every season. 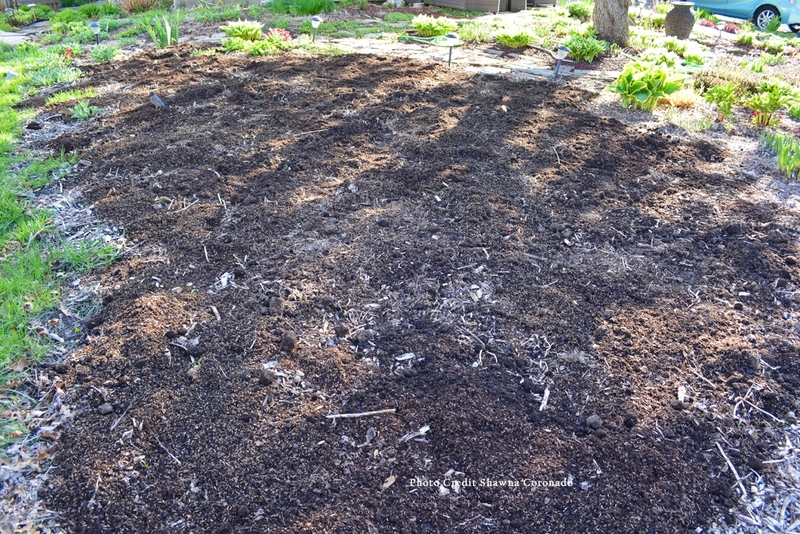 The first season I laid out a layer of rotted manure and dried leaves. 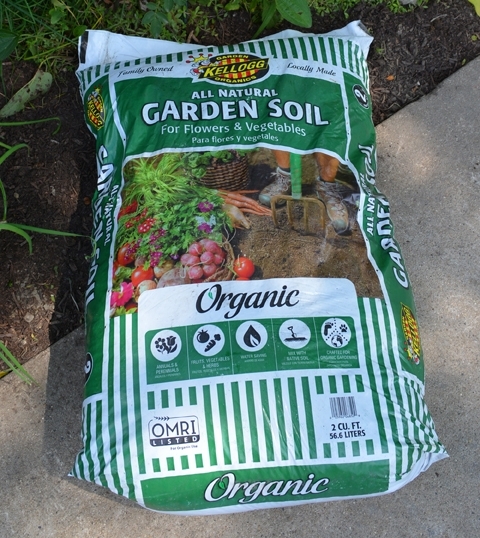 Next season I added a one inch layer of organic bagged soil. 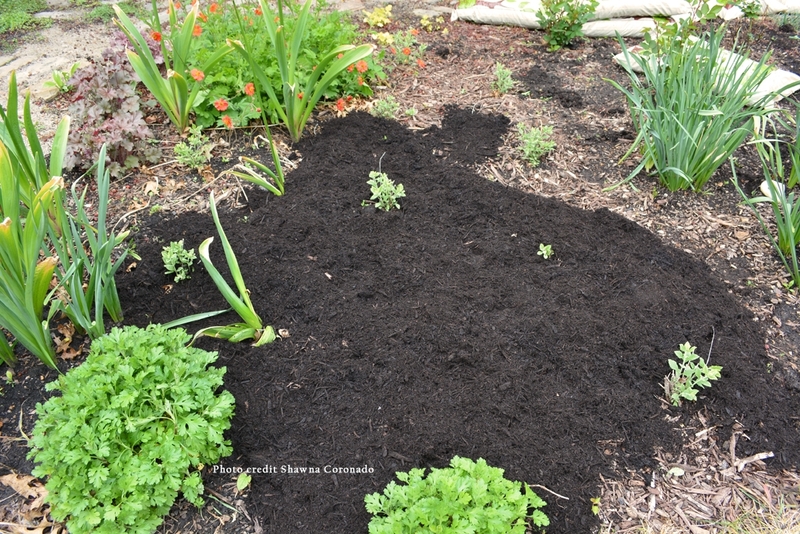 Then the next season I added a layer of mulch. Then the next season I added another layer of organic bagged soil. 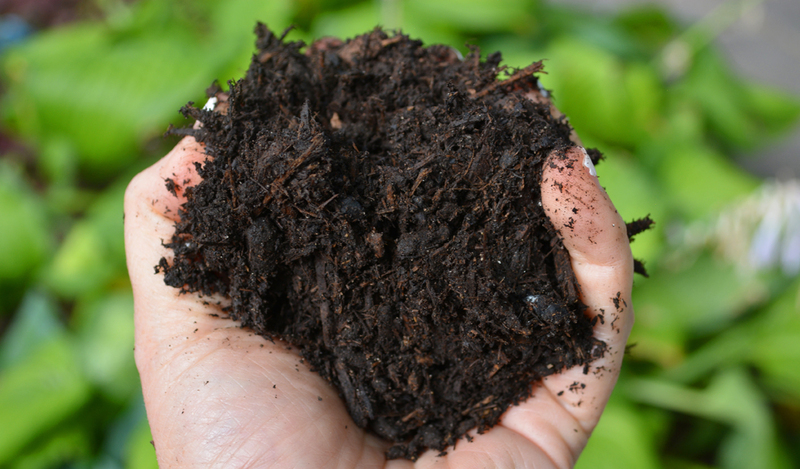 This technique of consistently adding new layers of soil, manure, and mulch without turning over the soil (see photos below) encouraged the microbial growth beneath the soil’s surface. 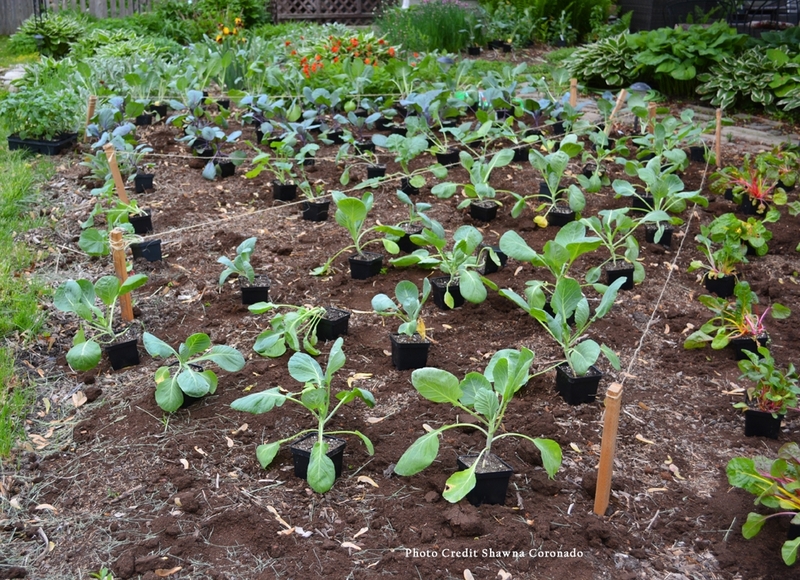 Benefits of a till-free garden include less watering, less weeding, and less need for fertilizer. All of this is better for the environment and better for you because it saves you time and money. My front lawn garden is loose to the touch and very rich after ten years of building it up with natural organic ingredients. This season I added a 2 inch layer of Kellogg Garden Organics All Natural Garden Soil, which was very beneficial because the natural ingredients in this soil include processed and recycled forest products, arbor fines, peat humus, sphagnum peat moss or compost, composted poultry manure, and organic fertilizer (see below). All very good because the all natural composition of these products encourages the microbes in a till-free environment to grow and thrive. I built a till-free vegetable garden and you can too – simply start the layering process with natural ingredients and build a fantastic foundation for your vegetables to produce gloriously. Thanks for sharing this! I have been gardening this way for over 20 years. Glad people are spreading the word.